I say it all the time, but dogs are family. Cats are too, but that’s a post for another day! 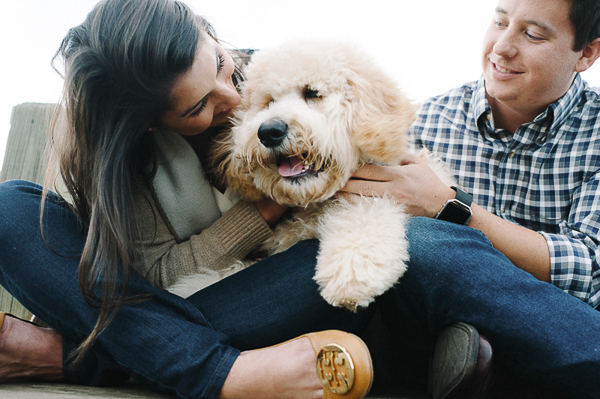 Handsome Golden Doodle, Tag, is the pride and joy of this family. I have the feeling that Tag knows without a doubt that he belongs with these people. 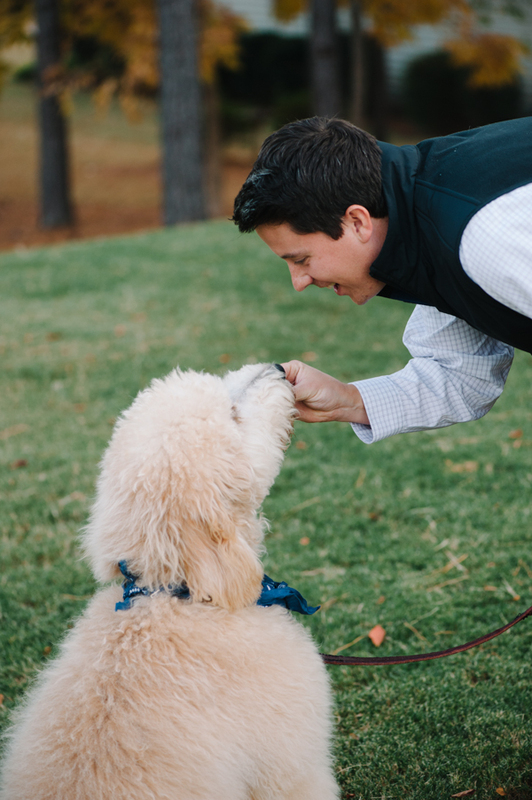 Photographer Hailey Huggins captured the love and joy that Tag brings! We had no clue what our hearts were in for when we welcomed this dood into our world in the summer of 2016. The truth is, our hearts are overflowing with joy. He is more than worth every sacrifice we have to make in our daily living. Our Fluffy boy has taught us the importance of unconditional love, the power of forgiveness and moving forward. He has shown us first hand at what living in the moment, and endless joy looks like. While Tag’s little life radiates so many wonderful things… the greatest thing we have learned from him, is instead of walking into a room and saying ‘here I am!’ we can now walk in and say ‘there you are!’ just like Tag does. 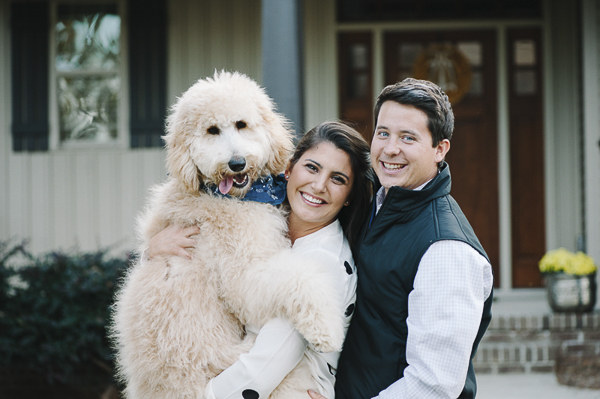 You can see more of this cute family photo session on Hailey’s blog. You can also see more Photos By Hailey by following her on Instagram. 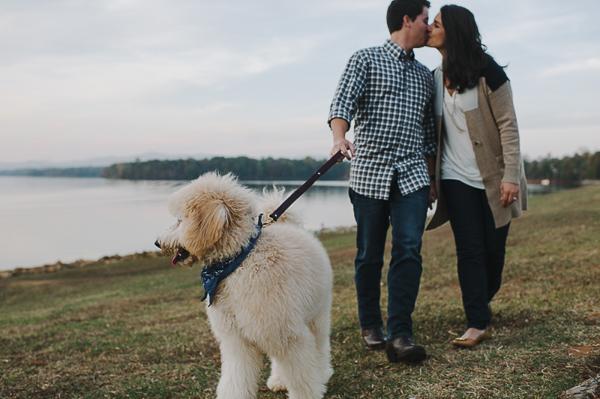 About Photos By Hailey: Based in Marietta, Georgia, Hailey specializes in wedding, family and portrait photography. 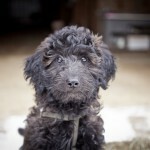 The pictures look amazing and that is one lovely dog who knows how to show off!! Hailey takesa beautiful picture! What a handsome doggie! We always enjoy the family photos you share. Tag is probably one of the happiest dogs I have ever seen. He is clearly the center and heart of this beautiful couple. 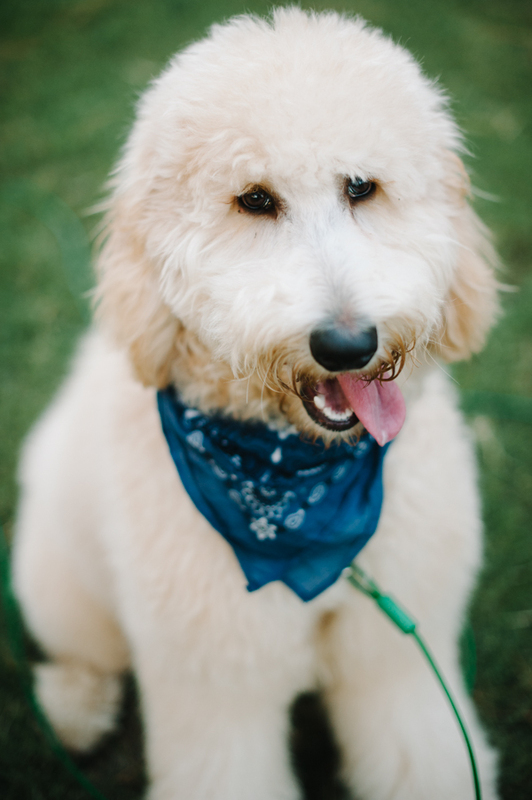 Such a happy face and adorable fluffy doodle head! Just a bunch of love and cuddles and energy! Wow! I get a TON of doodles in my dog training classes and that one is HUGE! So fluffy and so cute. Great photos. Believe it or not, Tag is only 46lbs. He’s just lots of fluff! The neighbor girls call him “marshmallow”. Haha! Tag has got to be one of the happiest dogs I’ve seen. 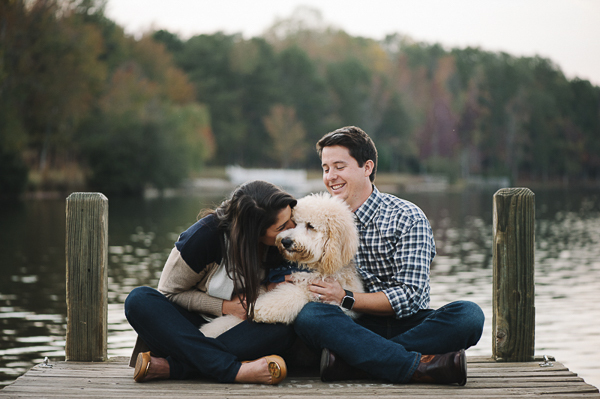 Very lovely couple and pup. As usual beautiful candid photography. Thanks for sharing. These pictures are amazing. 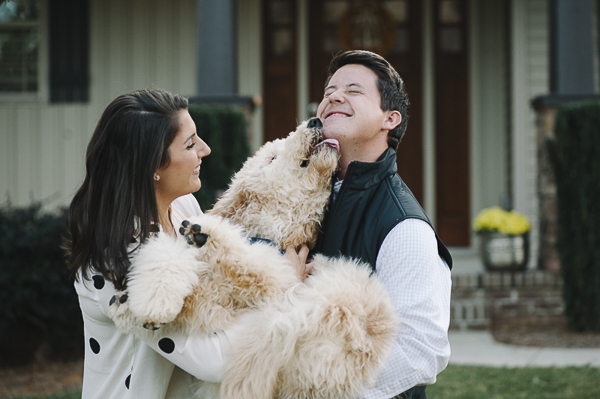 They capture so much love between the pup and his people. I love it! 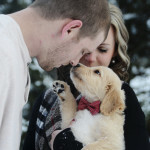 I think a photo shoot like this would be an excellent gift idea for any pet lover. 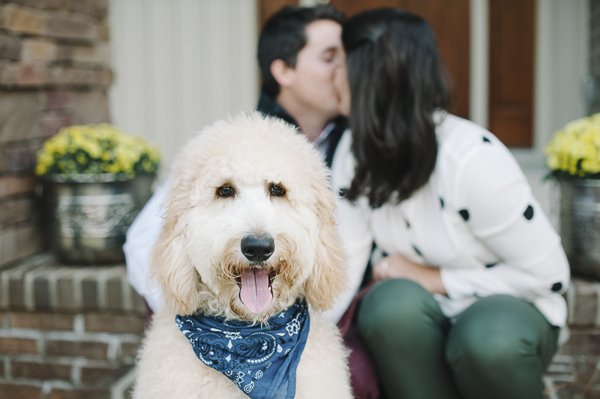 I’ll definitely be including my pets during my engagement and wedding photographs which should be soon to come! 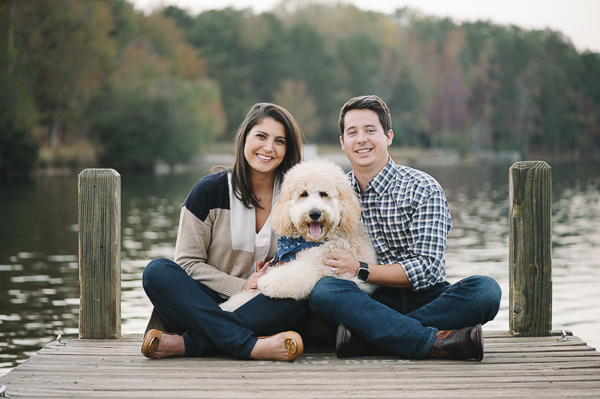 Oh I am looking forward to seeing your engagement and wedding photos! Such a happy looking fluff ball! His name suits him excellently. Oh my goodness!!!! He is beyond adorable!!! 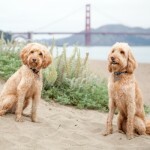 I love the doodle mixes :)mThey are a super cute family too. Tag definitely looks happy to be a part of their pack. Well Tag is just a big giant baby isn’t he? LOL, what a cutie pie! These photos are great, they capture so much spirit. That is such a cute picture, such a big dog being held like a baby and wrapping his arms around mom. Love it! I just can’t get enough of these photos! So glad that Tag is a part of our family! Hailey is such a fabulous photographer! I wish every dog had such a loving family! 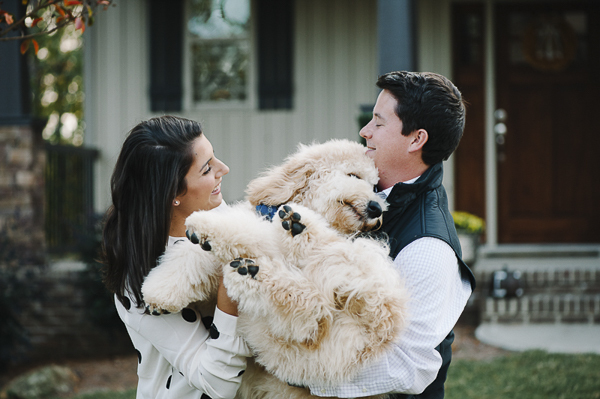 Hailey did a beautiful job capturing all the cuteness and love!